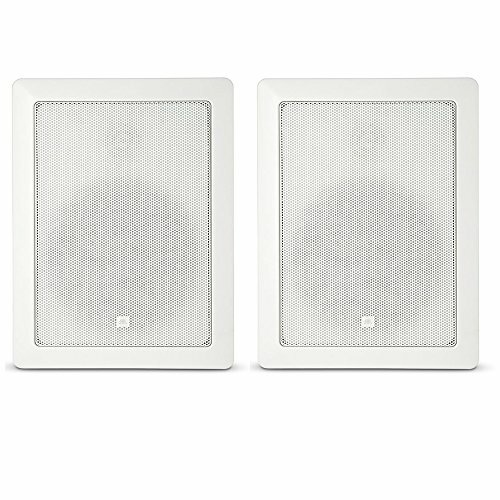 Premium in-wall loudspeaker the CONTROL 128W is a premium in-wall speaker within the JBL professional control contractor line designed for applications such as foreground music, boardrooms, reception areas, airports, convention centers, cruise ships, retail outlets, restaurants, museums, surround locations, or any critical listening Application where top performance from a loudspeaker with minimal visual impact is required. Components: 200 mm (8 in) polymer-coated aluminum-cone woofer with pure butyl rubber surround. 25 mm (1 in) pure-titanium dome low-diffraction swivel aimable Titanium tweeter. High-slope crossover for natural midrange sound. Extended bandwidth performance of 30 Hz - 20 kHz. 60 w continuous (120 w Program, 240 w Peak) power handling (128 w). If you have any questions about this product by JBL Professional, contact us by completing and submitting the form below. If you are looking for a specif part number, please include it with your message.